Zendure’s X6 Portable Charger has collected USD 142,000 in its recent crowd funding campaign on Indiegogo. The UPS function is a next-generation protocol that offers the maximum possible output regardless of whether X6 is operating on pass-through charging. 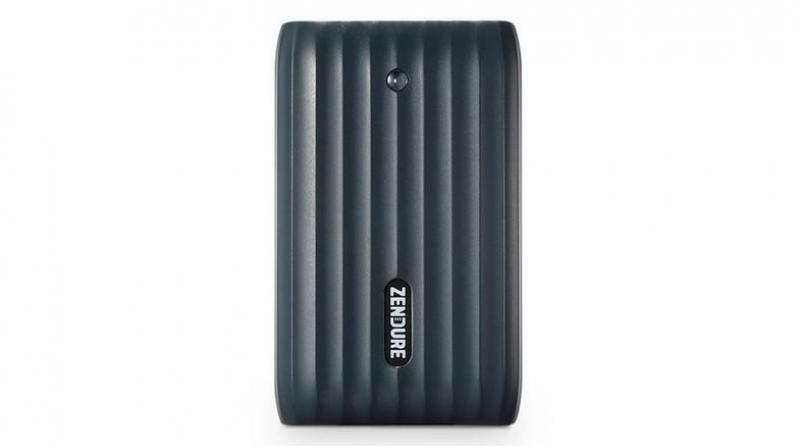 Zendure has announced its highly anticipated new power bank, X6, a versatile power bank with Power Delivery. X6 is a 20,000 mAh backup battery that uses PD technology to power devices that require a wide range of voltages and speeds. With a maximum output of 45W and up to 20V, X6 can charge a Nintendo Switch, iPhone X, or MacBook Air at the maximum rated speed. The PD port also serves as the input, rated 45W, meaning that compatible power supplies can fully charge X6 in just three hours. In addition to the 45W PD output, X6 also boasts three standard USB-A outputs that can deliver up to 2.4A/12W and one Quick Charge 3.0 output that offers variable voltage and a maximum output of 18W. Although packed with capacity and power, X6 still remains the lightest and smallest PD power bank on the market with similar specs, thanks to high energy-density battery cells and advanced electronics. However, what really set X6 apart from the competitors are two unique features: the UPS function, and the X-Charge low-power mode. The UPS function is a next-generation protocol that offers the maximum possible output regardless of whether X6 is operating on pass-through charging, the internal battery cells or switching between the two. Many power banks on the market today still do not offer pass-through charging. The UPS function demonstrated in X6 makes it an ideal power source for security cameras, microcontrollers, internet-of-things devices and a host of other applications. Another unique feature of X6 is the proprietary X-Charge function, which allows the user to bypass the typical minimum-current threshold. This makes X6 compatible with smartwatches, Bluetooth earpieces, fitness bands and many other products that do not draw enough current to activate a common power bank. The X6 is available on Amazon for USD 119.95 (about Rs 8,723).